Whether you're reliving your experience or seeing Expo for the first time, this contest has some great prizes for you. In case you haven't heard, Expo 2013 is in the works for October 4, 5, and 6. We recently announced the Magic schedule, complete with prizes, and we'll be keeping you up to date as we continue to finalize plans for Expo. If you can't wait until October for your chance to win some sweet swag, you're in luck! 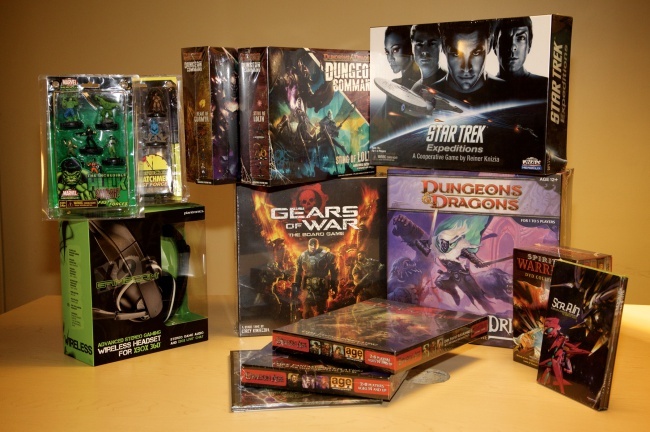 Starting right about now, you can enter to win an epic Expo prize pack, including a GameCom X95 headset, some anime related loot, and a small collection of board games and tabletop books. Starting Monday, April 29, and running through Friday, May 3 at 5pm Eastern time, you'll be able to answer one question each day for an entry into the contest, for a total of five entries. You can get one extra entry simply by being registered for Expo 2013, which you can do here. 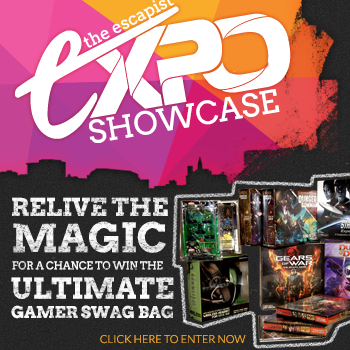 Of course, you don't have to be registered for Expo to win, as you'll be able to get five entries just for answering the questions, but an extra copy of your name in the proverbial hat can't hurt! Head on over to the contest page for the complete details.